Cardiovascular magnetic resonance (CMR) is a versatile technology that permits robust characterization of cardiovascular disease. The accuracy of the diagnostic information facilitates matching the patient to the “right” treatment and thereby streamline care. The ability of CMR to establish the correct diagnosis as well as quantify future risk offers unique advantages compared to other modalities. A particularly useful application of CMR is its ability to detect and quantify disease related to the myocardium that is difficult to otherwise detect. For example, CMR can detect clinically unrecognized myocardial infarction, infiltrative disease related to excess iron, glycosphingolipid, or amyloid protein. Our group has focused on myocardial fibrosis which results from varying degrees of excess collagen. Myocardial fibrosis appears to be a reversible indicator of myocardial health that is prevalent and predicts adverse events (e.g., mortality or hospitalization for heart failure) in proportion to its severity. We are attempting to understand its optimal measurement, its association with other conditions, its impact on prognosis, and its response to therapy. 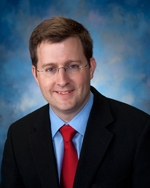 Erik Schelbert, MD, MS is the founding Medical Director of the UPMC Cardiovascular Magnetic Resonance Center. This high volume center serves patients originating from Western Pennsylvania, Northeastern Ohio, and West Virginia. His clinical interest revolves around introducing this noninvasive service line to the medical and cardiology communities in these areas in collaboration with colleagues from Cardiology and Radiology. Dedicated support staff includes dedicated CMR technologists and dedicated CMR nurses. Together, they offer a full array of CMR services to characterize cardiovascular disease including vasodilator stress testing and expanding CMR services to obese patients. Novel technology permits exams to be performed without always performing breath holding. His educational interests harmonize with his research and clinical interests. Educational interests revolve around promoting understanding of the unique advantages of CMR-guided care. Schelbert EB, Piehler KM, Zareba KM, Moon JC, Ugander M, Messroghli DR et al. Myocardial Fibrosis Quantified by Extracellular Volume Is Associated With Subsequent Hospitalization for Heart Failure, Death, or Both Across the Spectrum of Ejection Fraction and Heart Failure Stage. J Am Heart Assoc. 2015; 4(12). Schelbert EB, Cao JJ, Sigurdsson S, Aspelund T, Kellman P, Aletras AH et al. Prevalence and prognosis of unrecognized myocardial infarction determined by cardiac magnetic resonance in older adults. JAMA. 2012; 308(9): 890-6. Wong TC, Piehler K, Meier CG, Testa Sm, Klock AM, Aneizi AA et al. Association between extracellular matrix expansion quantified by cardiovascular magnetic resonance and short-term mortality. Circulation. 2012; 126(10): 1206-16. Wong TC, Piehler K, Kang IA, Kadakkal A, Kellman P, Schwartzman DS et al. Myocardial Extracellular Volume Fraction Quantified By Cardiovascular Magnetic Resonance is Increased in Diabetes and Associated with Mortality and Incident Heart Failure Admission. Eur Heart J. 2014; 35: 657-64. Schelbert EB, Fonarow GC, Bonow RO, Butler J, Gheorghiade M. Therapeutic Targets in Heart Failure: Refocusing on the Myocardial Interstitium. J Am Coll Cardiol. 2014; 63(21): 2188-98. Wong TC, Piehler KM, Zareba KM, Lin K, Phrampus A, Patel A et al. Myocardial damage detected by late gadolinium enhancement cardiovascular magnetic resonance is associated with subsequent hospitalization for heart failure. J Am Heart Assoc. 2013; 2(6): e000416. Moon JC, Messroghli DR, Kellman P, Piechnik SK, Robson MD, Ugander M et al. Myocardial T1 mapping and extracellular volume quantification: a Society for Cardiovascular Magnetic Resonance (SCMR) and CMR Working Group of the European Society of Cardiology consensus statement. J Cardiovasc Magn Reson. 2013; 15: 92. Schelbert EB, Messroghli DR. State of the Art: Clinical Applications of Cardiac T1 Mapping. Radiology. 2016; 278(3): 658-76. Schelbert EB, Wong TC, Gheorghiade M. Think Small and Examine the Constituents of Left Ventricular Hypertrophy and Heart Failure: Cardiomyocytes Versus Fibroblasts, Collagen, and Capillaries in the Interstitium. J Am Heart Assoc. 2015; 4(9). Wong TC, Piehler K, Puntil KS, Moguillansky D, Meier CG, Lacomis JL et al. Effectiveness of Late Gadolinium Enhancement to Improve Outcomes Prediction in Patients Referred for Cardiovascular Magnetic Resonance after Echocardiography. J Cardiovasc Magn Reson. 2013; 15(1).